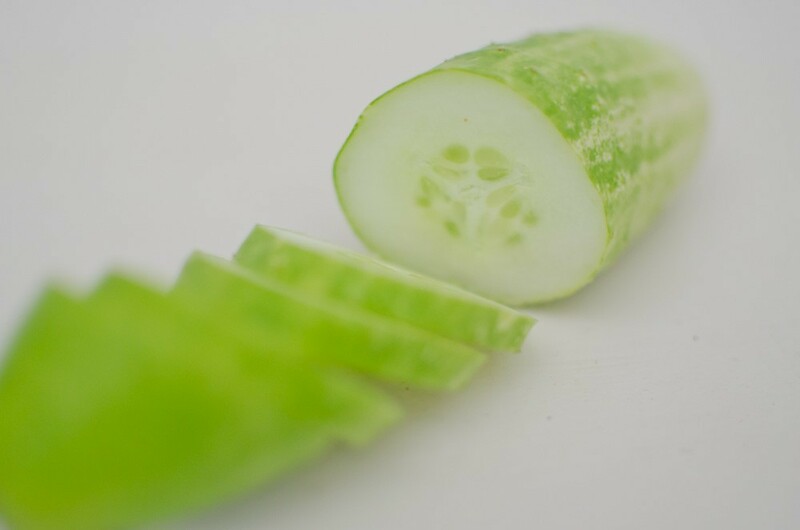 In a large bowl layer the cucumber and salt, cover and leave overnight. The next day, rinse well under cold water and dry on kitchen paper. In a saucepan combine the rest of the ingredients and heat gently until sugar dissolved. 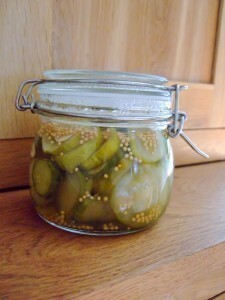 Bring to the boil and add the cucumber, bring back to the boil and pot up immediately in hot sterilised jars. It made 2 of these kilner type jars from Ikea.